We’ve pioneered the approach of using essential oils as energy medicine for the brain. Our oil blends carry an energy field that balances the energy field of the brain. If this sounds astonishing or improbable, you’re not alone. While energy medicine used to be the only form of healing, it is now considered woo-woo. It’s not. Energy medicine offers vast potential for healing, and given our current healthcare crisis, we can no longer afford to misunderstand it. After reading this post, you’ll have the information to empower your health with this holistic healing method. 1. What is energy medicine? ​Energy healing or energy medicine is based on the fundamental premise that everyone's thoughts, emotions, beliefs and attitudes are made of energy. Therefore, if we are all infused with this life force often referred to as qi (pronounced chee), we can channel or use its power for healing. ​In Chinese medicine energy is called qi; in Ayurvedic Medicine it is doshas; in traditional Hindu metaphysics the word is chakras. Therapies such as acupuncture and acupressure, reconnective healing and reiki work on these energies to restore health and well-being. Other forms of energy medicine commonly practiced include reflexology, Tai Chi, crystal healing, distance healing, laying-on-of-hands, and homeopathy. ​In energy medicine, the role of the healer is not to “fix” a broken body, but to help the body access its own energy blueprint of health. Essential oils and Brain Essential Oil Blends act as an “energetic tuning fork” to balance the brain. Energy medicine rests on the belief that the body contains the information required for health. This information is in the form of energy that is not always accessible to scientific measurements, but often available to our senses of intuition, sight, hearing, smell, taste, and touch. For example, John has extensive experience with energy-based therapies. He developed the ability to feel the energetic fields around the human brain and body. Similarly, some individuals have an ability to see the subtle energy of people and their environment. And ancient shamans learned the herbal recipes because they heard the recipes from the plants. Books on Energy Medicine for those who want to read more indept on the subject. Essential oils are organic compounds extracted from plants with tremendous healing properties. 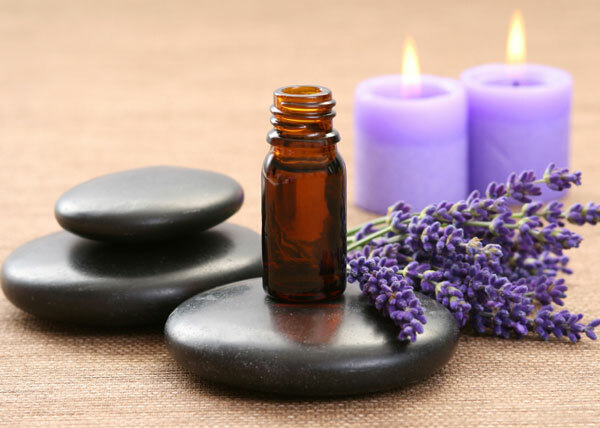 Using essential oils for healing purposes is often called aromatherapy. In this video, Jordan Rubin and I discuss several different essential oils — including frankincense, turmeric, lavender, oregano, clove, tea tree, ylang ylang and so many more — and how to use each one to help combat common illnesses. Watch to learn the power of essential oils as medicine. ​*This video content is strictly for informational and educational purposes only. It is not intended to provide medical advice or to take the place of medical advice or treatment from a personal physician. All viewers of this content are advised to consult their doctors or qualified health professionals regarding specific health questions. The publisher of this content nor JA Health Advocate, takes responsibility for possible health consequences of any person or persons following the information in this educational content. All viewers of this content, especially those taking prescription or over-the-counter medications, should consult their physicians before beginning any nutrition, supplement or lifestyle program. ​2. Where did energy medicine come from? Energy medicine is the most ancient and universal form of healing. All early cultures had a name for the life-force energy utilized in healing. This indicates that unseen energy is as foundational to human existence as concepts like mother, father, life, and death. In our modern society, we attempt to know reality by what is seen. In ancient cultures, reality was known by what was felt. In other words, we now determine reality by our analytical mind whereas we used to determine reality by the body’s senses. Importantly, energy medicine arose when we were connected to ourselves in a way we are not anymore. Now, we’ve become Human Doings, separated from nature and our own nature. We’ve forgotten that our body, not just our mind, can inform us about the world. Our culture is now divorced from psychic and intuitive senses, but these are our birthright as much as our sight and smell. In early culture, intuition was considered as viable and essential as other senses. As a result, the ancients were intimately connected to the energetic reality we have forgotten. 3. Where and what is this energy? Consider how a human body develops from the union of a sperm and egg. In the first stage of the embryo, all cells are exactly identical. We don’t know how one cell develops into a heart cell, and one cell develops into a lung cell. DNA doesn’t provide this information. It only provides the building plans for cellular components. So how does one cell know its unique destiny? Many researchers theorize that an energetic field provides this information. We’ve even measured this field — Neuroanatomist Harold Burr discovered an electromagnetic field around a salamander egg that is shaped like a salamander. It’s surmised that an “energy blueprint” guides growth and development. That’s one theory, but we simply don’t know how the human body works. We may have thought so, but in the last year we’ve discovered a new human organ and a lymphatic system in the brain. It would be generous to say we understand a mere 1 percent of what there is to know about the human body. Given the great mystery of the body, we can safely assume many dimensions of energy exist that influence our lives. Only recently did we learn about electromagnetic waves, including radio waves and microwaves. More energetic spectrums of reality will be discovered in the future. If you are a self-proclaimed skeptic, the true skeptical approach is to assume the existence of energy fields rather than assume non-existence. Looking to rejuvenate your mind, body, and spirit? This Energy Oil essential oil blend is expertly formulated with a combination of Rosemary, Juniper Berry, Lemongrass, Nutmeg, Gernaium, Peru Balsam, Bergamot, Clove and Black Pepper oils creates an Energy blend, a scent that is earthy and spicy. Stimulate and energize with each use of this expertly formulated aromatherapy blend! A must-have in any aromatherapy routine, energize your body, mind and spirit with this aromatic blend of our favorite rejuvenating oils. This Energy Oil combines steam distilled rosemary sprigs, juniper berries, lemongrass leaves, nutmeg seeds, geranium aerial parts, peru balsam resin, and cold-pressed ripe bergamot peels to create a scent that is notably earthy, warm, and spicy. This energizing oil is wonderful during mindful meditation to stimulate one’s entire being. This Energy Oil is available in ½ oz. glass amber bottles with dropper tops. 4. Is there scientific proof of energy medicine? Energy medicine can often be scientifically studied, but we cannot determine its validity based on controlled studies. Primarily, we lack the instruments sensitive enough to measure different energy fields. Currently, the only device sensitive enough to grasp an understanding of energy is the human body. After all, it has evolved for billions of years in concert with this energy. If we demand that energy medicine fit within our current scientific model, it’s as if we demand the beauty of nature be contained in a photograph. We may see a photograph of the redwood forest and just say, “that’s nice.” But when we leave the world of paper and walk into the forest, we feel the magnificence. Its dimension cannot be measured, but only felt. ​So the question isn’t “Is energy medicine scientific?” but rather, “Is science the only way to know the world?” For many of us, that’s a complete worldview change. We can look to lobsters for a new change outlook. A lobster lives in a hard shell, but its tissues continue to grow. When the lobster feels too constricted, it sheds its old shell. For a few weeks, it is soft and unprotected while a new, larger shell forms. When our present worldview can’t hold new ideas, it’s time for us to be like the lobster. We have to shed our secure shell and step into a period of intensely vulnerable uncertainty. This cycle of shedding our worldview allows us to grow and expand. ​When we step out of our shells to give energy medicine a try, it can make our lives so much bigger. ​Perhaps one of the most popular oil blends in aromatherapy, 4 Thrive Oil is a perfectly balanced blend of Lemon, Rosemary, Clove and Eucalyptus Oils. Based off the time-old concoction known as "Four Thieves Vinegar," 4 Thrive Oil has a rich history of use dating back to the Dark Ages in Europe. The oils chosen for this popular blend sport cleansing properties, making it a natural, chemical-free alternative to store-bought toxic household cleaners. Combine 10 drops per 20 ml vinegar or distilled water to create an all-natural multi-surface home cleaner. Combine 20 drops per 40 ml distilled water in a spray bottle for an all-natural air freshener and cleanser. This oil can be used in your homemade DIY projects such as candles, soaps and other body care products! ​5. How can energy medicine change healthcare? Our current healthcare approach perceives the body as a mechanical assembly of parts. We treat the body like a machine by removing or repairing the broken pieces with medications and surgeries. Unfortunately, when we give a drug to fix a specific part, side effects reverberate throughout the body. We cannot change a part without changing the whole human being. So now we have uncomfortable side effects, and the root cause of the original health problem hasn’t been addressed. As a matter of fact, this band-aid approach often makes the underlying problem worse. In the case of diabetes, we provide insulin injections to reduce blood sugar. This exacerbates the problem by increasing insulin resistance — over time, the patient needs more and more insulin. It’s time we radically change our perspective on healthcare. It’s time we see the body not as a machine, but as the mechanic. It’s time we let the mechanic do her work, rather than interfering with her wisdom. She knows better than us what is needed for healing, for she contains the energetic blueprint of health.